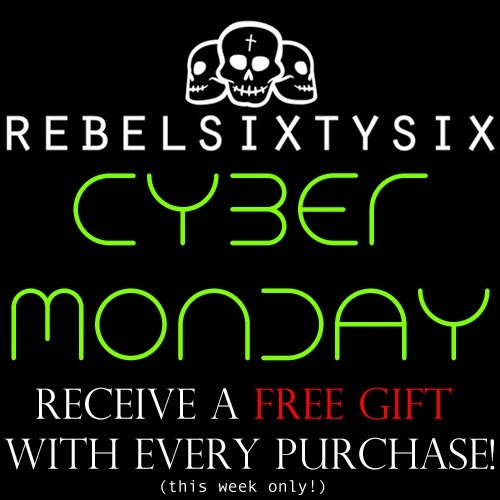 rebelsixtysix - rebel66.com official blog: CYBER MONDAY SALE!!! That's right kids! WE HAVE A SALE! This week only you will receive a free gift with every purchase! That's right, FREE REBEL66 STUFF!!! Happy Cyber Monday!! !